Following the success of Binance Launchpad, the token sale platform that has hosted successful initial exchange offerings for blockchain startups such as Fetch.AI, BitTorrent and Celer Network, cryptocurrency exchange Huobi is developing a similar platform called Huobi Prime. It promises to be a better way of investing in crypto projects and is set to launch on March 26th. Like Binance Launchpad which uses a native cryptocurrency (Binance Coin) to power token sales for new blockchain projects, Huobi’s “coin launch” initiative will serve as a token sale platform for blockchain projects, and will use its native cryptocurrency, Huobi Token. Binance Coin (BNB) is currently the world’s largest exchange cryptocurrency and the eighth largest cryptocurrency overall by market cap. So far this year, BNB has had an epic run, outperforming all of the coins in the top 10 after its breakout in early January from a low of $5.90. BNB is currently trading at $14.39. Binance is currently the largest crypto exchange by 24-hour trading volume, at $947.9 million, according to data compiled by CoinMarketCap. Huobi ranks ninth at $672.2 million in 24-hour trading volume. 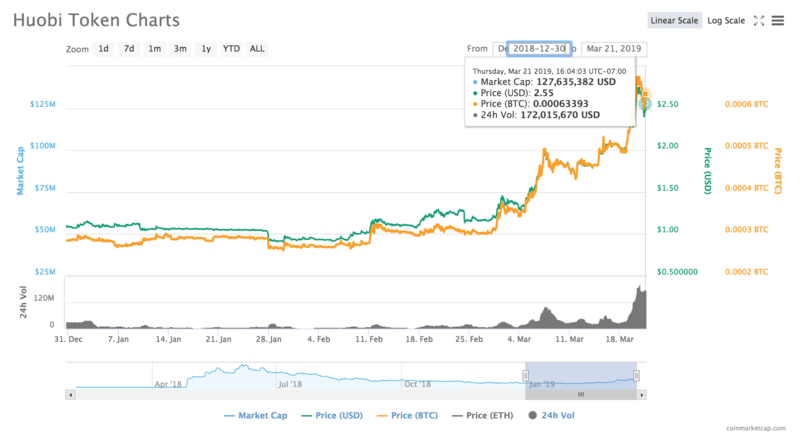 Huobi Token (HT), currently the 50th largest cryptocurrency by market cap, has soared 41.58% within the past seven days, up 132% since the start of 2019 when it was trading at $1.11. It is currently trading at $2.58 at time of writing. The exchange crypto allows investors to participate in token sales and also creates HT markets for crypto-to-crypto trading. Its success, along with that of Binance Coin, is sparking interest in native exchange cryptocurrencies, as well as redefining how a crypto exchange can impact and influence investors, new projects, fundraising efforts and market liquidity. Huobi is distinguishing its model from other platforms that are launching initial exchange offerings (IEOs), a relatively new fundraising strategy that allows people with certified accounts at a particular exchange to invest in a new token sale. 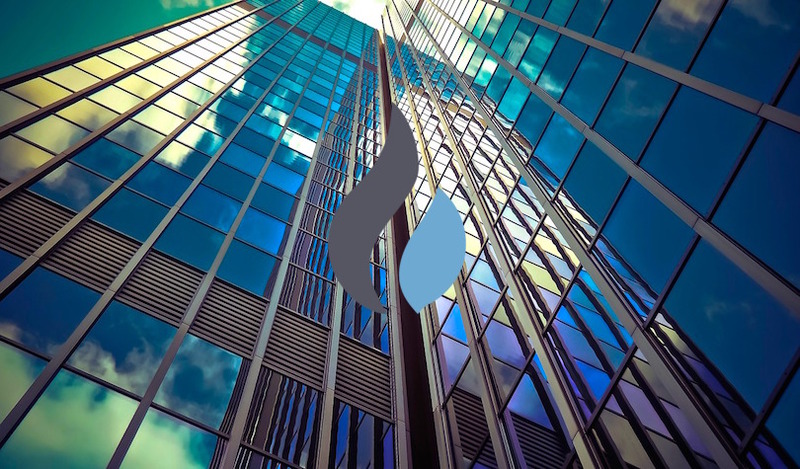 The strategy minimizes some of the risks associated with initial coin offerings (ICOs) since they incentivize the listing exchange to conduct due diligence on a project, essentially assuring their customers (the potential investors) that the development team is legitimate and that the project is not a scam. Huobi calls its new strategy a “direct premium offering” (DPO). Huobi Prime’s first token sale will be TOP, a virtual token of TOP Network which is a decentralized open network for low-cost messaging, calling, video, VPN, CDN, IoT data sharing and cloud communication services. According to Huobi, the high-performance blockchain has a user base of 60 million. As crypto exchanges compete for market share, trading volume and dominance, they’re matching one another’s strategic moves around the globe. The Huobi Group officially launched Huobi Australia in 2018. Binance launched its crypto gateway in Australia earlier this week.